Microsoft Universal Foldable Keyboard: a thin, lightweight keyboard for iOS, Android, and Windows devices. 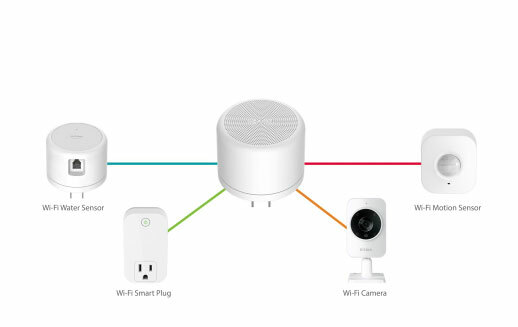 It connects to your gadgets using Bluetooth 4.0. You can simultaneously pair this keyboard with any two mobile devices. TextBlade: a lightweight, compact keyboard that provides you with desktop finger-spacing and a full QWERTY experience. It has multilayer keys and a battery that lasts for a month. Sonder: an e-ink keyboard with a customizable design. Lets you between languages, shortcuts, and custom icons quickly. Logitech Multi-Device Keyboard K480: a handy keyboard for your smartphones and tablets. It has an easy-switch dial that lets you switch between your devices. It has a range of 10 meters. 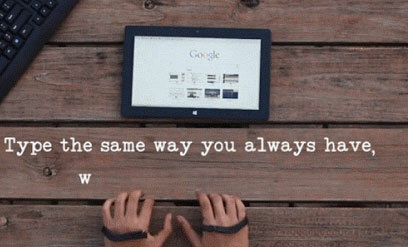 moky: a keyboard and an invisible touchpad to let you interact with your tablet more conveniently. It has a laser sensor to generate a large optical touch-pad. It supports various gestures. Qii Rollable Keyboard: as the name suggests, this is a rollable, full-size smartphone keyboard that you can take anywhere. It has a number pad, function keys, and all the standard keys. AirType: an innovative solution that lets you type anywhere. This is a keyless keyboard that learns your finger movements and adapts to the way you type. Have you found better keyboards for iOS devices? Please share them here.